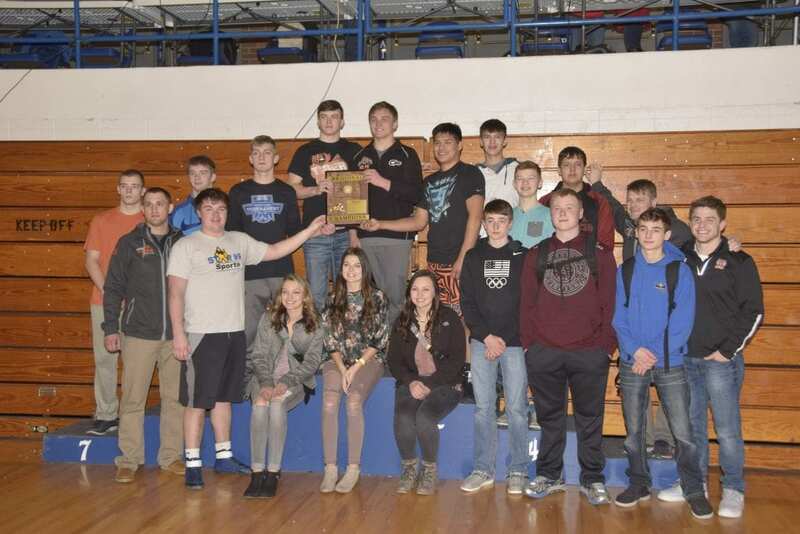 The Tiger wrestling team won the team championship title at the Region 4B Wrestling Tournament at Rapid City Stevens High School Gym on Saturday. Pictured are: (back from left) Tucker Holzer, Isaac Olson, Jaden Schilling, Nathan Bauer, Stone Jensen, Jason Gerry, Kamron Pearman, Jacob Steiger, Kyler Pearman, head coach Nathan Ford and assistant coach Levi Jensen; (front from left) assistant coach Dan Zeller, Carson Keller, statisticians Peyton Longbrake, Grace Madison and Alex Steiger, Eli Bohlander, Jon Keller and Isaac Aman. Not pictured is Tuscon Freeman. 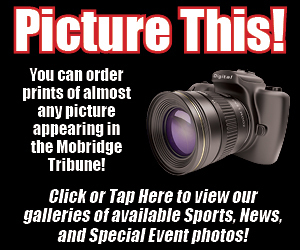 A recap of the tournament and the preview of the state wrestling tournament is in the Sports section.